Long ago, the skies teemed with Sylphs - people who could become birds and control magical winds. They once helped mankind build technological marvels such as flying machines. But now a mysterious plague ravages Victorian London, technology has regressed, and the Sylphs vanished to become nothing more than fairy tales. Merrily, a stubbornly optimistic girl from the slums, tries to help people where she can, but it never seems to be enough. When she discovers she can talk to birds and fly, her avian heritage is revealed: she is the Twyndyllyng, born to bring harmony between the humans and the hidden Sylphs. The only problem? The previous Twyndyllyng was murdered, and now the killer has targeted Merrily. Her escape brings her to an ambitious young inventor named Phoenix Gaffney. He believes Merrily can unlock the secrets of powered flight, just as the Sylphs did in his mother’s stories. But even he doubts they can finish his flying machine before the terrible plague claims his life. As they race to bring back long-forgotten magic and science to a desperate city, Merrily and Phoenix begin to recognize what exactly they are willing to sacrifice to save the people of London - and each other. Audrey Bluewillow appears one misty morning under a candle-maker's willow tree, and finds she can only remember other people's memories. She tries to make sense of her new life, but the townsfolk fear her power and shun her. Frustrated and confused, she sets out in search of a mysterious portal that could be the key to her past. Aided by a curious boy who talks to trees, and hunted by wild shadows, Audrey flickers through strange new Realms. As her understanding of her own destiny unfolds, she discovers that the magnitude of its impact reaches far beyond herself. 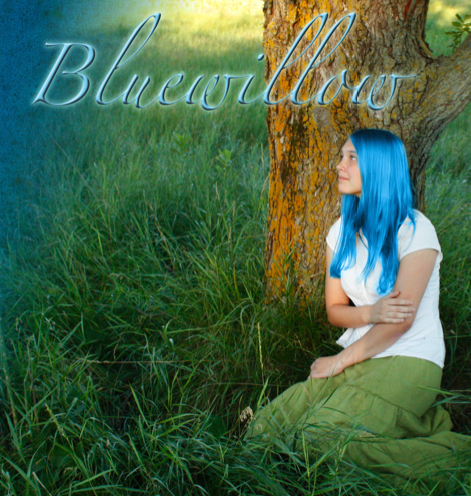 Bluewillow is the first novel in The Flicker Chronicles trilogy. In a world where all compasses point to the Queen's palace, an awkward, bookish young woman named Sylvianna is shocked to find that her rich family is actually made up of feuding sky pirates. She's kidnapped by the worst of them all, a man named Sean Fletcher... her long-lost father. As she reels with this discovery, she struggles against her family history, social expectations, and her own secret desires for adventure. But eventually, she realizes that she must become what she most hates -a pirate- to stop the empire from destroying itself.